You must be a member of the Hamburg New in Town Group to attend this activity. Would you like to join this group? If you like me thought Split with James McAvoy was awesome! 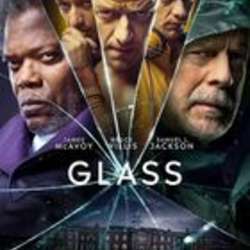 Join me and lets watch Glass, From Unbreakable, Bruce Willis returns as David Dunn as does Samuel L. Jackson as Elijah Price, known also by his pseudonym Mr. Glass. Joining from Split are James McAvoy, reprising his role as Kevin Wendell Crumb and the multiple identities who reside within. …Following the conclusion of Split, Glass finds Dunn pursuing Crumb’s superhuman figure of The Beast in a series of escalating encounters, while the shadowy presence of Price emerges as an orchestrator who holds secrets critical to both men. Please only sign up if you are sure you can attend, if by any chance you can no longer attend after signing up, let me know as early as possible in order to allow someone else to take the spot.